Are you looking for a bathroom product that will help you save water without compromising on design? 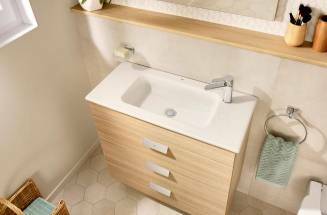 Or perhaps a space-saving solution for a small bathroom? Combining design, innovation and water recycling, the W+W brings sustainability and eco friendliness with style – in one compact piece! We’re all aware of the need for using less water these days, taking quick showers and not leaving the tap running when we brush our teeth. So choosing a bathroom product that helps recycle water means you’re doing your bit to help the environment every day. 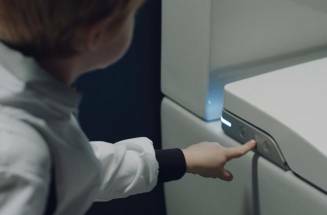 The award-winning water saving W+W has a cleverly positioned washbasin, integrated seamlessly on top of the WC tank, allowing its innovative internal system to capture the washbasin water as it drains away. The water collected from the basin is then saved, filtered, disinfected and used to fill up the tank so it can be reused to flush the toilet, making it completely sustainable. 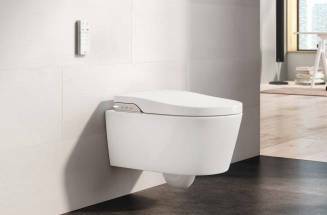 There is also an option to simply discard the washbasin water when needed and here the cistern will fill from the mains water just like a conventional WC. 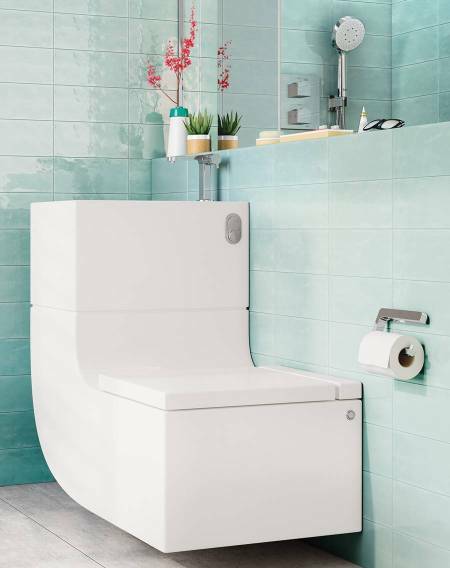 Combining contemporary and stylish design with a greywater recycling system, the W+W makes it possible to reduce water usage by 25% in a typical household, without compromising on the look of your bathroom – a very modern eco toilet. Most of our bathrooms tend to be on the small side and it’s often tricky finding separate products to fit within a minimal floor space. Most en-suites or cloakrooms can also have awkward dimensions leaving you with limited choices. 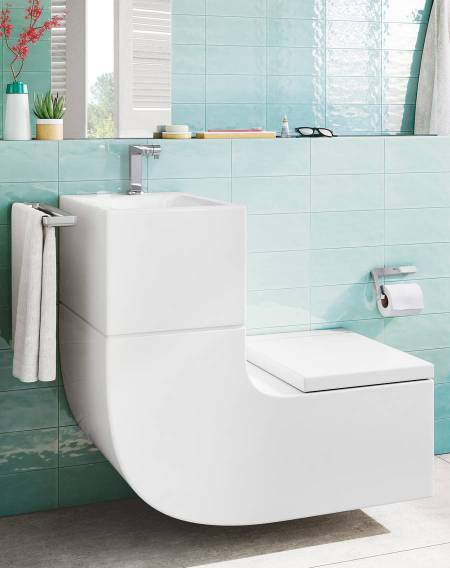 Not only will the W+W save you water, its clean, compact design will take up less room than separate solutions, so your bathroom feels that little bit more spacious. 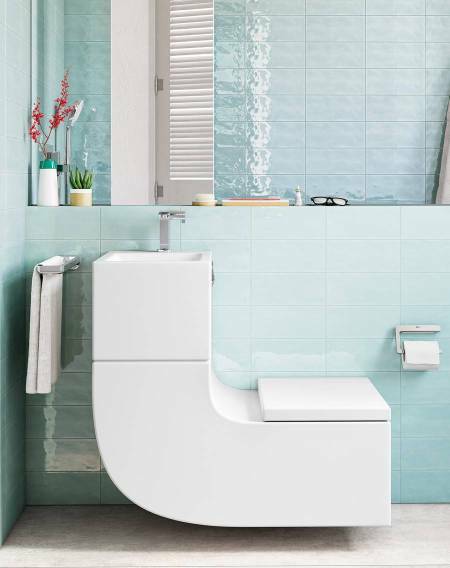 InspirationSmall bathroom? 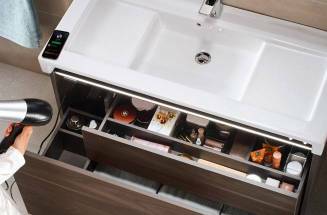 Discover Roca’s compact bathroom units! Less is more with these two storage solutions.